newsletter for tips, articles and more to help you achieve results. 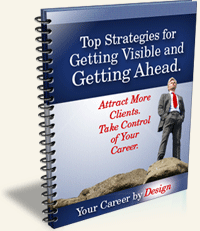 With your subscription you get my special report: Top Strategies for Getting Visible and Getting Ahead. Attract More Clients. Take Control of Your Career.